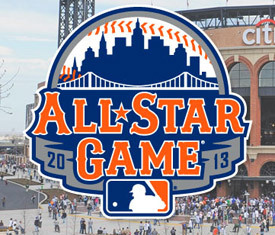 The MLB off-season is in full swing right now with teams preparing for spring training! I personally can’t wait till February 25th when players must report to spring training, but now is the time for teams to make moves to prepare for a World Series run. The goal of this blog is to simply break down each move that takes place either via trade or free agent signing with a short one to two sentence explanation of how it impacts the upcoming MLB season. Note 12/23: The blog has been updated if I’m missing something and you are reading please contact me at my twitter. I apologize for the delay in between updates this time. Note 1/11: The blog is up to date, but not a log going on. This trade is basically about dumping some money off the books for the Tigers as they also send $30 million to the Rangers with Fielder. 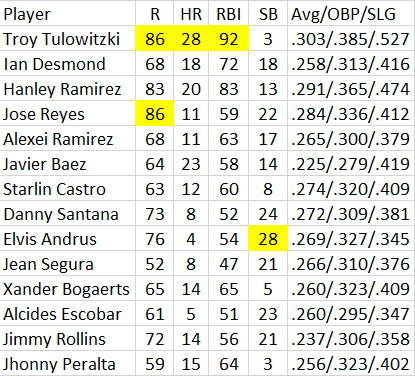 The Tigers lose some power in the line up but the money frees them up to sign guys like Max and Miggy in the future which to me is more important. 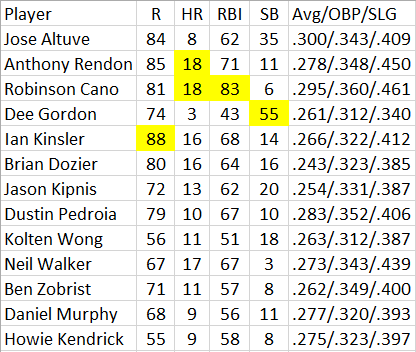 Kinsler is no slouch either and will offer some power in the line up and can play a solid 2nd base. I’m very excited as a baseball fan to see what Fielder can do in Texas at Arlington Stadium which is a hitters park. 11/23/13 – St. Louis Cardinals traded 3B David Freese and RHP Fernando Salas to Los Angeles Angels for CF Peter Bourjos and RF Randal Grichuk. David Freese was a hometown hero during the 2011 World Series for the Cardinals, but since then he’s done nothing to prove he’s more than an average 3b. He hit just .262 with 9 home runs last year and the Cardinals needed the outfield depth that Bourjos will provide them. The Cardinals now have a solid center fielder in Bourjos who can cover a ton of ground. The Angels hope that last year was just a down year and that they can get the 2011 world series version of David Freese. 12/2/13 – Detroit Tigers traded RHP Doug Fister to Washington Nationals for LHP Ian Krol, 2B Steve Lombardozzi and LHP Robbie Ray. I wish I knew what Detroit was thinking here, but I sure don’t! Doug Fister was a solid starter this year for the Tigers earning 14 wins on the years. He’s going to fill in nicely for a Nationals pitching staff that could use some help towards the 4 and 5 starters spots. 12/3/13 – Baltimore Orioles traded RHP Jim Johnson to Oakland Athletics for Player To Be Named Later and 2B Jemile Weeks. The Orioles could use the second baseman that they got in Weeks, but the whole point of the trade was about saving money. The Orioles would have had to pay a huge amount of money in arbitration and they avoided that by trading him. 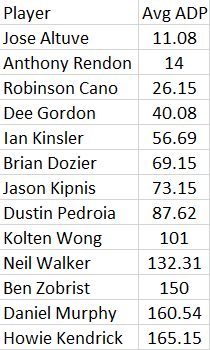 The Oakland Athletics get a solid closer who had the most saves over the last two seasons. 12/3/13 – Texas Rangers traded CF Craig Gentry and RHP Josh Lindblom to Oakland Athletics for RF Michael Choice and 2B Chris Bostick. There is not a lot to say about this trade, but I do like what the Athletics did here. Gentry can be a solid outfielder in the major leagues I believe. 12/3/13 – Colorado Rockies traded Player To Be Named Later and CF Dexter Fowler to Houston Astros for CF Brandon Barnes and RHP Jordan Lyles. Houston gets a good ball player in Fowler who I don’t think ever got the credit he deserved in Houston. The Rockies pick up a couple nice young ball players in Barnes and Lyles, but they sure are giving up a good one in Fowler. 12/5/13 –Milwaukee Brewers traded RF Norichika Aoki to Kansas City Royals for LHP Will Smith. This is kind of under the radar trade that most people wont care about, but it could be a nice get for the Royals. Aoki is a very solid outfielder hitting .286 with 20 stolen bases last year. 12/10/13 – Arizona Diamondbacks traded LF Adam Eaton to Chicago White Sox for LHP Hector Santiago and Player To Be Named Later.Los Angeles Angels traded RF Mark Trumbo and Player To Be Named Later to Arizona Diamondbacks for LHP Hector Santiago and LHP Tyler Skaggs. 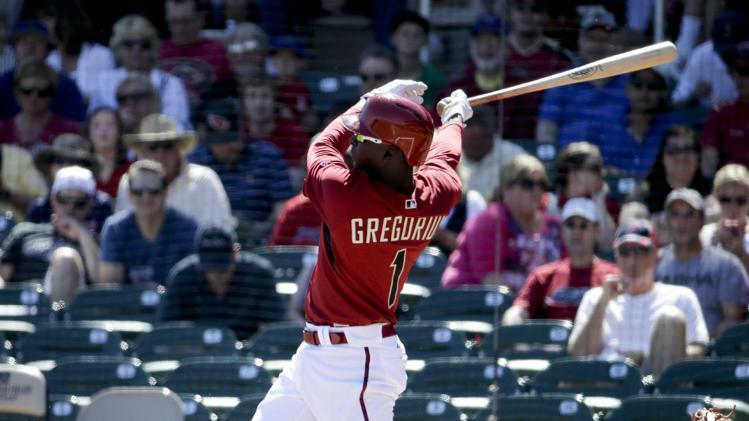 The Diamondbacks get a power bat they’ve been looking for. I know Trumbo has a terrible on base percentage, but he does hit 30 to 40 home runs a year. The Diamondbacks are going to have Goldy and Trumbo hitting back to back which will produce a lot of home runs in that park. The Angels get a couple of young arms to try build a solid pitching staff around. 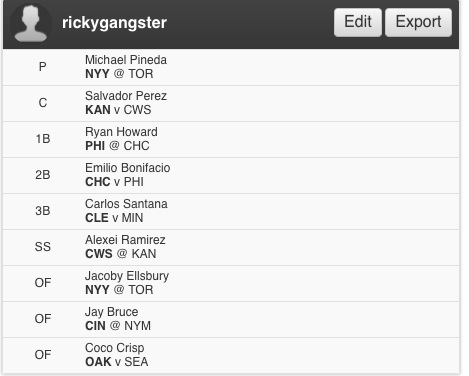 I like what each team did in this trade, but my clear-cut winner is the Diamondbacks. 12/10/13 – Oakland Athletics traded LHP Brett Anderson and cash to Colorado Rockies for LHP Drew Pomeranz and RHPChris Jensen. Brett Anderson has been a disappointing player because of injuries over his career, but he’s got a ton of upside. The Rockies are hoping he can be the front end starter they need in the rotation and stay healthy. The Athletics clear a spot in their rotation they need after signing Kazmir and acquire some young talent that hopefully help the club in the future. 12/13/13 – Seattle Mariners traded RHP Carter Capps to Miami Marlins for 1B Logan Morrison. Logan Morrison is the name to know here as he can hit the ball really well at times but is a very streaky hitter. Morrison has some power, but he’s not going to do much other than hold down a outfield spot for the Mariners. The Marlins grab Capps in an effort to boost their rotation with young pitching. The average fan of baseball probably hasn’t heard much about either of these guys, but they are both solid baseball players. I really like the potential in both guys, but I think the White Sox get a future star in Davidson. 11/12/13 – Philadelphia Phillies signed free agent RF Marlon Byrd. Byrd adds some power to a Phillies team that could for sure use some help in the lineup. I like the signing for the Phillies, but he’s got to hit like last year for it to be a successful one. 11/13/13 – Oakland Athletics signed free agent SS Nick Punto. Punto is very solid defensively and adds a nice glove to the infield to help the Athletics out. 11/21/13 – Kansas City Royals signed free agent LHP Jason Vargas. Vargas just adds to the Royals rotation a veteran pitcher, that really doesn’t help or hurt them. 11/22/13 – Colorado Rockies signed free agent RHP LaTroy Hawkins. This has home runs written all over it. Hawkins will struggle in Colorado with the long balls. I’ll be called a homer here, but I don’t care! I love the signing of Peralta as it gives the Cardinals a power bat from the shortstop position that they have not had in years. 11/25/13 – Cleveland Indians signed free agent OF David Murphy. Murphy is coming off a down year where only hit for an average of .220 obviously the Indians are hoping they get much better production. Skip is simply a utility baseball player that will fill in for the Reds at multiple positions through out the year. He’s a decent hitter as well hitting .285 for his career. Vogelsong is coming off a year where he had a 5.73 ERA on the year. There is not much to say about a guy coming off that kind of season, but I believe the Giants think he can turn it around and become a solid starting pitcher. 12/3/13 – New York Yankees signed free agent C Brian McCann. This is a very nice additions for the Yankees, while I still think they over paid for McCann they get a nice left-handed bat. The left-handed power hitting catcher will play nicely with the short porch in right field at Yankee Stadium. 12/3/13 – Minnesota Twins signed free agent RHP Ricky Nolasco. Nolasco is an average pitcher, but he will help a Twins staff that was not very good last year. It’s a good fit for both the team and Nolasco. 12/5/13 – Minnesota Twins signed free agent RHP Phil Hughes. The Twins are picking up pitchers to fill out the rotation and Hughes is another solid additions. He’s not an ace, but he should make for a decent starter for the Twins. 12/6/13 – Miami Marlins signed free agent C Jarrod Saltalamacchia. Salty is a pretty good catcher and hitter as well. The Marlins need solid baseball players after a horrible year last year and Salty brings a World Series ring with him that could provide leadership to the young guys in Miami. 12/6/13 – Miami Marlins signed free agent SS Rafael Furcal. Furcal didn’t play last year with injury, but when healthy he’s a pretty good shortstop. He’s not going to provide much pop to the Marlins line up, but he will hold down the SS position with some solid defense. 12/7/13 – New York Yankees signed free agent CF Jacoby Ellsbury. To date this is the biggest signing to take place as Ellsbury leaves the world champion Red Sox to go to the hated Yankees. Ellsbury is a great ball player when healthy, but the key is when healthy he’s injury prone and the Yankees gave way to much for him to be hurt. 12/7/13 – Boston Red Sox signed free agent RHP Edward Mujica. Mujica was great for the Cardinals last year to start the year, then it all feel apart for him. I’m not sure how the Red Sox will use him, but i’m sure he will come out of the bullpen as some sort of set up man. 12/7/13 – Los Angeles Dodgers signed free agent RHP Brian Wilson. THE BEARD IS BACK! The question now is can the beard stay healthy? 12/9/13 – New York Mets signed free agent CF Curtis Granderson. The Mets make a splash in free agency this year signing one of the best outfielders our there. Granderson spent some time on the DL last year only playing 61 games for the Yankees and hitting .229 with 7 home runs during that time. The Mets are going to need more out of Granderson than 61 games if they are going to compete. 12/10/13 – Texas Rangers signed free agent C J.P. Arencibia. I like this signing for the Rangers as Arencibia will be able to back up Soto and can hit for power as well. He’s got the 4th most home runs among active catchers over the last 3 season and should be a decent addition for the Rangers next year. 12/10/13 – Miami Marlins signed free agent 1B Garrett Jones. I’m a big fan of Garrett Jones and he’s always helped me at times in fantasy, but I’ve got to admit he never got it going last year. The Marlins aren’t a very good team thought, and I”m anxious to see what Jones can do given playing time daily. I’ll revisit this signing during the season and hope Jones is playing solid baseball. 12/11/13 – Detroit Tigers signed free agent LF Rajai Davis. Rajai is almost an automatic stolen base when he gets on base that is! Davis will likely share time with Andy Dirks and be in the line up when the Tigers are facing a left-handed pitcher. Jay-Z done went and got Cano PAID! Cano gets a big deal as it’s not quite the 300 millions we all thought he wanted he still gets 10 years and around 240 million. Cano will struggle to hit home runs as the Safeco filed is not a hitters park. He’s still going to provide an all-star player in Seattle with plenty left in the bat. The Mariners have nothing to lose with this deal, but I still think by about year 6 of this 10 year deal they will regret it. 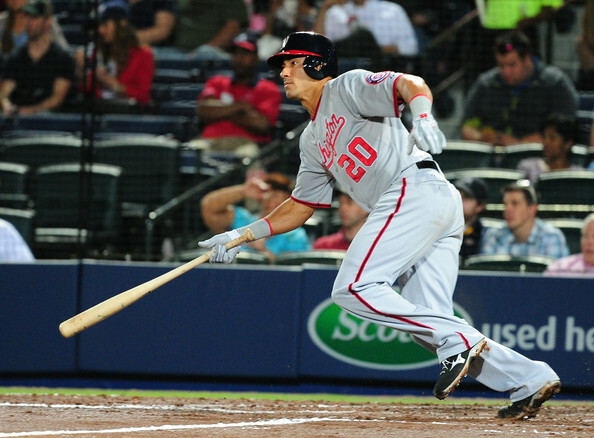 12/12/13 – Washington Nationals signed free agent LF Nate McLouth. This signing provides the Nationals with a solid 4th outfielder. McLouth will give them depth at each spot in the outfield and will probably see more at bats than a typical 4th outfielder. The 32-year-old McLouth batted .258/.329/.399 with 12 homers and a career-best 30 stolen bases for the Orioles last season which for sure helps the Nationals. 12/13/13 – Seattle Mariners signed free agent 1B Corey Hart. I actually like Hart as a solid underrated pick up for the Mariners. He spent much of last season on the DL with an injury but if he can return with a year like he had in 2012 he could be a very nice addition for the Mariners. 12/13/13 – Colorado Rockies signed free agent 1B Justin Morneau. We know Morneau has some power, so going to Colorado we can expect a few more home runs. 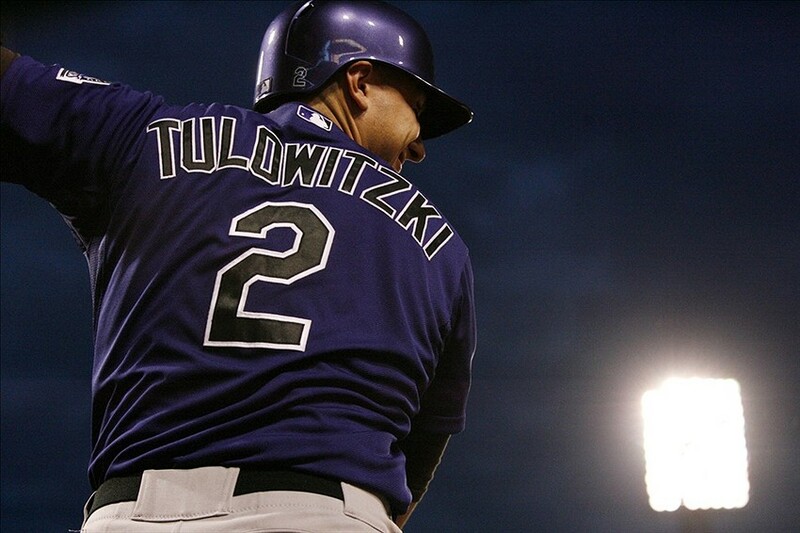 I think he’s a nice replacement at 1B for the Rockies and should provide some pop, but I don’t expect anything special. 12/13/13 – Pittsburgh Pirates signed free agent RHP Edinson Volquez. Volquez is decent, but he’s also a very risky signing. The Pirates were able to turn some pitchers into studs this year thought, so who knows how to judge this signing. 12/14/13 – New York Mets signed free agent RHP Bartolo Colon. Colon just got paid with this deal. The Mets fans have a had a rough couple of year, so I hope for their sake this works out, but I really think they overpaid for an old pitcher. 12/16/13 –St. Louis Cardinals signed free agent 2B Mark Ellis. Ellis will play a utility role for the Cardinals this year and I have to say he’s a very solid utility guy. Ellis hit .270 last year for the Dodgers while playing in 126 games. The Cardinals just need him to give guys off throughout the year. 12/16/13 – Kansas City Royals signed free agent 2B Omar Infante. 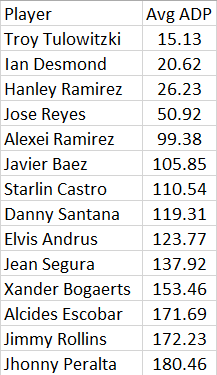 The Royals probably overpaid for Infante, but to compete they have to overpay for guys. Infante hit .318 last year and will a key piece in the Royals 2014 season. Morse has to stay health for this signing to work out. Morse, if healthy will provide some power to a Giants line up that sure needed it. 12/27/13 – Texas Rangers signed free agent LF Shin-Soo Choo. The Rangers are making an early push to become the winners of the offseason obviously. 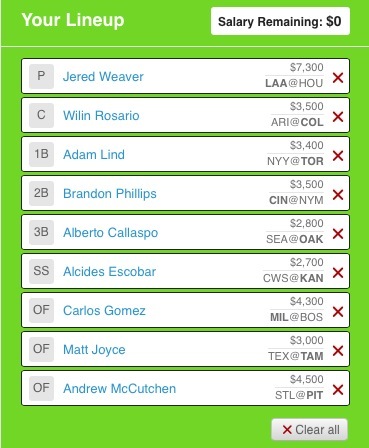 That line up in Texas is looking very dangerous and the decision to add Choo is going to add a nice pop. 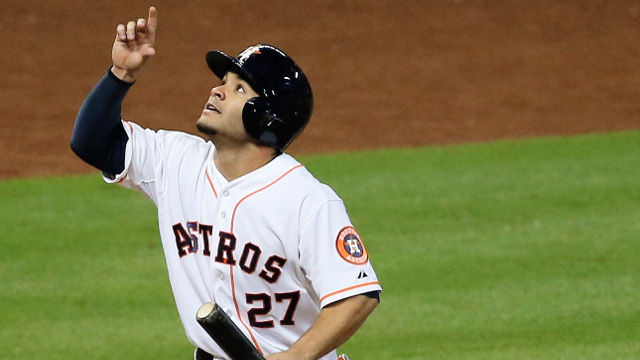 I think Choo can do big things next year in that line up and in the ball park.